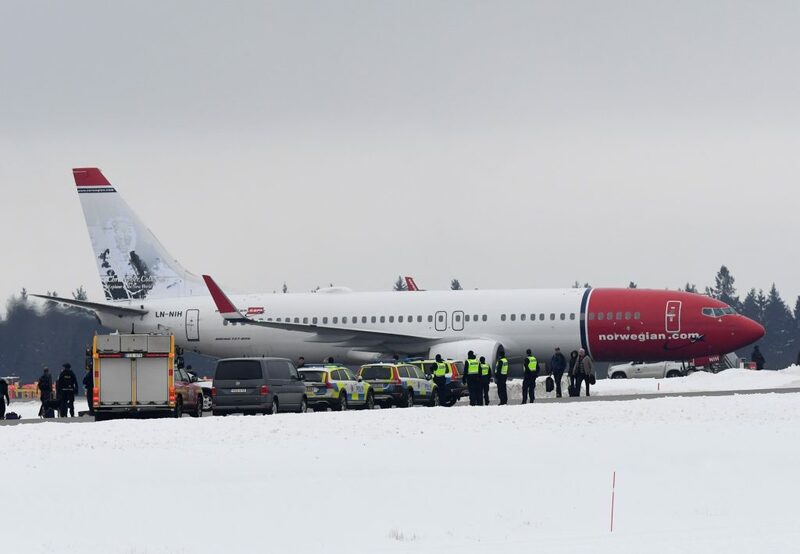 A Norwegian Air Shuttle plane with 169 passengers on board returned to Arlanda airport outside Stockholm on Thursday after receiving a bomb threat and is being evacuated, Swedish police said. Swedish police said the threat had been made against a specific plane which had now landed at Arlanda. “When the evacuation is complete, the plane will be searched by the national bomb squad,” police spokeswoman Towe Hagg said. Swedish TV said the plane was carrying some members of the Swedish swimming team who were travelling to France for a competition and to take part in a training camp. “Everyone is sitting quietly and waiting to know when we can get off the plane,” SVT quoted freestyle swimmer Isak Eliasson as saying. Norwegian said the threat had been made against flight DY4321 flying from Arlanda to Nice in France.